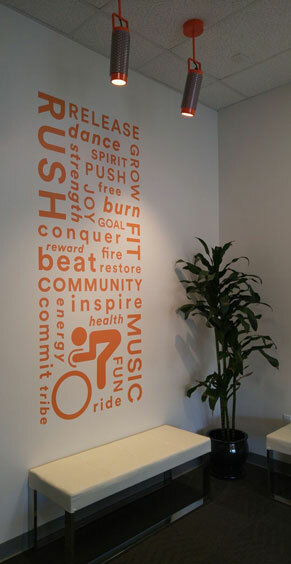 At Rush Cycle, we’re known for our high-energy, expertly choreographed classes and the inspiring community. At the core of that experience are the instructors who make them happen. We want to give you an inside look into what makes our program so special, from Angie Afman (Director of Instructors and Training) the mastermind herself. A rare and special talent if there ever was one, Angie is so unique and passionate with a great ability to take someone’s vision and not only run with it, but execute it! First a student and then an instructor, Angie’s passion for the Rush brought her up through the company ranks quickly, leading her to develop one of the nation’s leading spin instructor programs in just a few short years. We were lucky enough to catch her for a quick sit down at our home base in San Diego between training programs around the country. Here’s what we learned. Let’s start with a little about you, Angie. Have you always been into cycling? How did your career with Rush start? I’ve been a dedicated athlete since college, but I didn’t discover riding til 2012. I’d been craving the type of team community I had in organized sports. When I randomly came across Rush through a friend, I instantly fell in love. I was a certified instructor within a year. After training under a Master instructor, I eventually took over the program. I’ve been putting my sweat and tears into growing it ever since. What are you most proud of about the program you’ve built? Becoming an instructor is about more than just the technicalities of teaching spin (although that’s important.) I’ve watched this program literally change people’s lives, and that makes me far more proud than any successes they may have on the bike. We invest many hours into our instructors to make sure they’re truly ready for the challenge. A lot of studios will do 4 day trainings and then send them out on their way. Ours is usually 6 – 7 weeks. It takes that long for not only the skills, but the confidence an instructor needs, to really take hold. What’s a key ingredient to creating a really strong instructor? It starts with my own personal investment. I have to make sure trainees feel safe and confident enough to fail fast and fail often. That not only humbles you, but teaches you that you can deal with it, and ultimately opens you up to growing quickly. But the right environment has to be there for that to happen. What do you look for in potential instructors? A great personality. A basic understanding of music is also important, and of course, a certain level of fitness that enables them to successfully get through training. Do you train a lot of people who’ve never instructed before? Definitely. Actually, we prefer it. Training people from the ground up means we can shape their experience — everything from their technical expertise and choreography to their philosophy on what spin means for people’s lives. Do you think there are traits that a person has to have if they’re going to become a strong instructor? Technical abilities can be taught. There’s a willingness and desire that has to be there. There was one trainee in our last session who really had very limited technical skill. She honestly couldn’t break down the music or keep a rhythm. But I saw a sparkle in her that I knew I could work with. She needed hands-on attention, which I’m happy to give. And she was willing to practice a lot. As her confidence grew, so did her abilities. And you know what? She was phenomenal by the end of it. 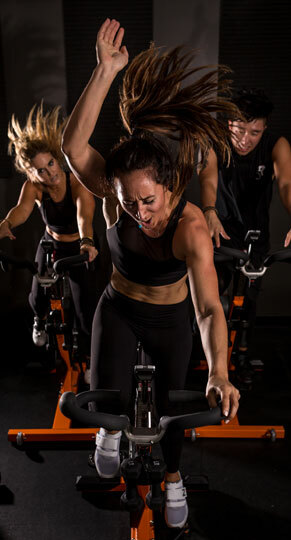 What would you say sets Rush Instructor training apart from other cycling studios? In training we focus on the “why” more than the “what”. For example, rather than having our trainees memorize music and use premade playlists, we teach them to understand the math behind music and how to predict patterns and expertly count any song. We break down music to that degree. Our instructors don’t just learn a set class sequence and go on their way. They learn to understand why they ride the way they do, so they can create, improvise, and evolve as instructors. This depth of understanding is what sets our instructors apart. We heard you got an outpouring of thank you notes and praise from your last training session in Colorado Springs. Why do you think that is? Becoming a Rush instructor changes people on a fundamental level. It’s risky and hard and very personal. The effort, the lessons.. they teach us confidence not only on the bike, but in every area of our lives. As a result of our training program, a lot of people feel more confident about their life and the decisions they make outside of the studio, and the value in that is irreplaceable.